The interest about the extent of the polychromy of ancient artefacts has increased in the last 10 years, increasing our knowledge on classical art, still often perceived as perfectly white. 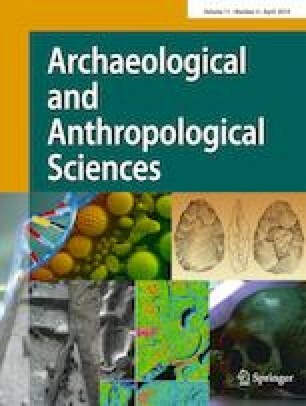 As a consequence, the development of methodologies allowing the detection and interpretation of the traces of colour remaining on the surfaces of archaeological artefacts has gained momentum. This paper presents the results of a multi-disciplinary research carried out about the painting materials used in producing selected marble statues excavated from the archaeological site of Hierapolis of Phrygia (Turkey), integrating the art-historical approach and the archaeometric data. The artefacts discussed in this paper were excavated in the archaeological site of Hierapolis in the course of several years by the Italian archaeological mission (MAIER). The objects include the reliefs and decorative statuary of the Severan Theatre and the statues excavated from the North Agora of the archaeological site, which are currently preserved in the museum of Hierapolis-Pamukkale. The analytical protocol, based on non-invasive imaging techniques (ultraviolet fluorescence images—UVf and visible induced luminescence—VIL), was performed directly outdoor, in the archaeological site. Few microsamples were selected, collected and subjected to laboratory analyses (XRD, FT-IR, SEM-EDS and HPLC-DAD). The integrated protocol allowed for the identification of the colouring materials used in producing the polychromies under study. The online version of this article ( https://doi.org/10.1007/s12520-019-00803-w) contains supplementary material, which is available to authorized users. This research was cofounded by MIUR in the framework of the Italian FIRB 2012 Project “Marmora Phrygiae”. The authors would like to thank Dr. G. Scardozzi, Dr. T. Ismaelli (Institute for Archaeological and Monumental Heritage-IBAM-CNR) and Prof. F. D’Andria, director of the Italian Archaeological Mission in Hierapolis in 2013-2015 (MAIER, https://www.hierapolis.unisalento.it/15, last access-January 2019), for their support and suggestions.